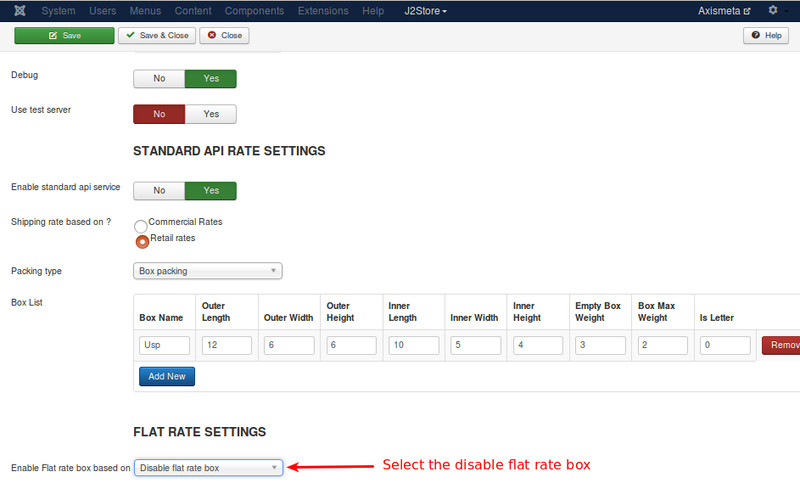 The USPS Advanced shipping plugin comes with the feature of Standard Rate API setting and Flat rate setting. 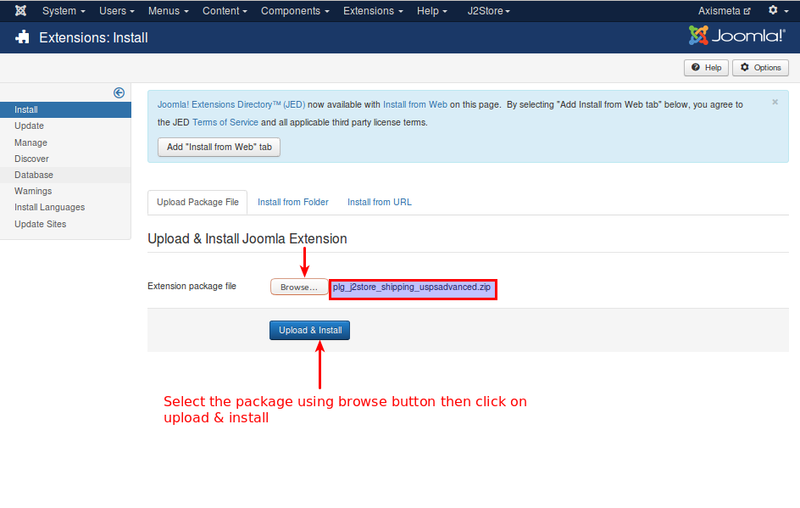 You can install this USPS shipping plugin, using joomla installer.The following steps help you for successful installation. 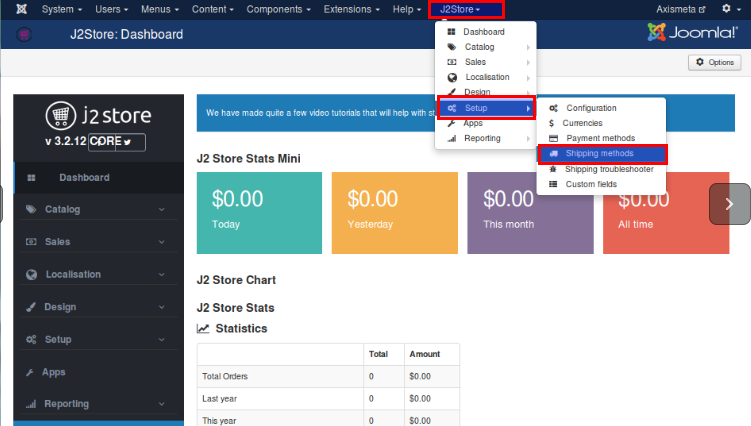 Now, the USPS Advanced shipping for J2Store page will appear on the screen. 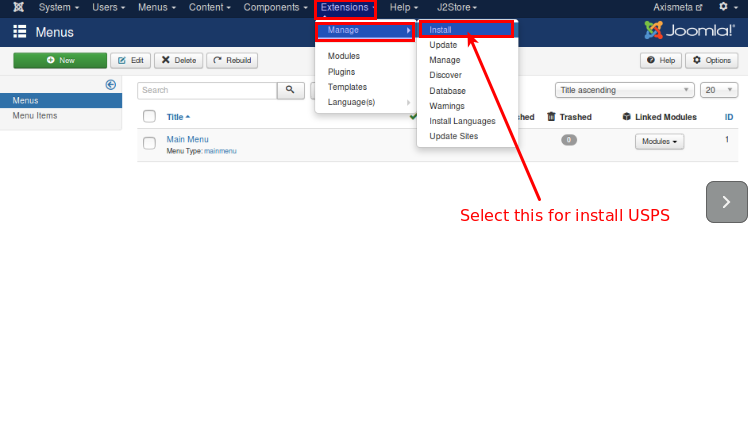 Configure the shipping plugin by entering the plugin parameters. Enter the valid username associated with your USPS account. Enter the Postcode from where you ship. USPS offered lot of domestic services . You can select more than one service. If you need to know more about the USPS Services please refer the following link USPS. USPS offers lot of international services. You can add multiple options from the list. If you need to charge a handling cost for the shipping, you can enter here. Select the desired unit in which you want to measure the dimension, like, inch, milimeter and centi metre. Preferred unit Inch. Select the desired unit in which you want to measure the weight, like, kilograms, pounds etc. Preferred unit Pound. If you want to show the delivery time means set it yes othewise set it as no. 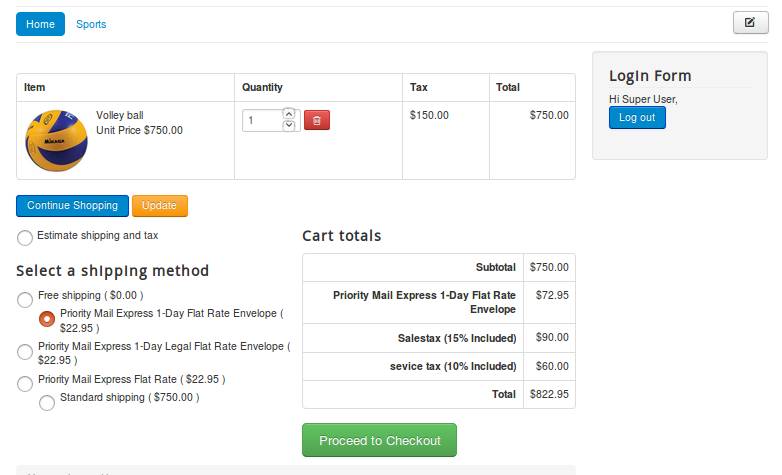 If shipping is taxable and you want to add tax rate, select a tax profile in this option. 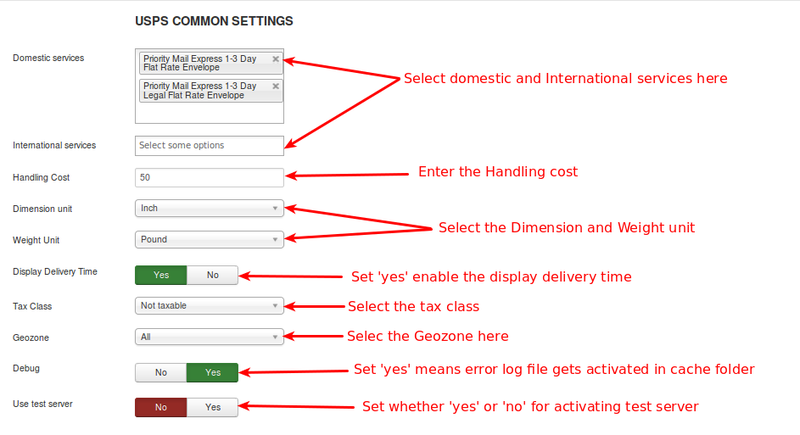 If you want to limit this shipping method to particular areas, then you can select the corresponding geozone in this option. If this shipping is applicable to all areas, then set it to All. If you set this to Yes, then an error log file will be maintained in the cache folder. It suitable for test account. USPS Shipping offers a testing suite called test server. Before going live, you can test your store using USPS test server feature. Set this to YES will enable the standard API service of USPS (i.e) once standard API enabled, it will pass to the USPS server and get the standard rates from USPS server. Shipping rate based on ? Commercial Base Pricing is always cheaper than the retail rates. Commercial Base Pricing is a discounted rate offered to U.S. Postal Service (USPS) to customers. It is the common price for all the customers of USPS. 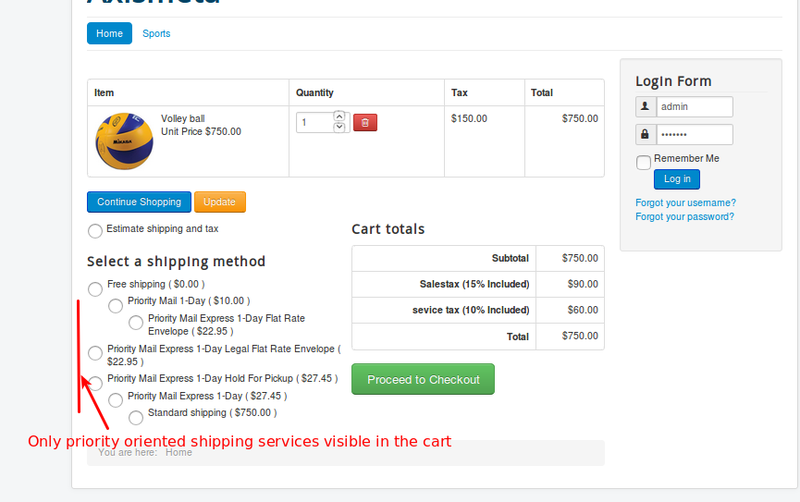 Shipping rate changes based on the surcharges, fees, and other factors. USPS offers 3 types of packing. Each products consider as a separate unit and packing it into the individual boxes. Each product will be packed separately. The box packing included with this shipping method lets you pack all the items into single box for which you have to define height, width, length, weight and max-weight. Packing is mainly volume based but also considers item size. 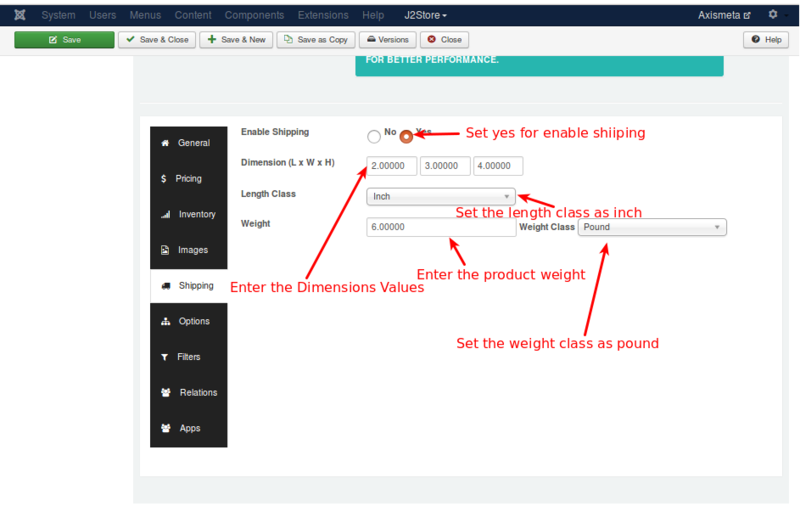 If you choose box packing then you will have to create/set box size.The box will have the following fields. Name: This allows you to name your custom packages. L (in), W (in), H (in): The first set of dimensions are the outer dimensions of the package. These are the dimensions passed to the API. If you are working with a flat rate box via the API (i.e., Regional Boxes), use the API's 'inner dimensions' for your box's outer dimensions. Your box must 'fit' inside. Inner L (in), Inner W (in), Inner H (in): The second set of dimensions are for the inner dimensions of the packaging. This should be the outer dimensions minus the thickness of the package walls. These dimensions are used for packing and items must fit within them (they cannot be the same size as the products, allow for a little extra room). Weight of Box (lbs): This is the weight of the empty box by itself. This weight is added to the total weight of the contents. Max Weight (lbs): This is the maximum weight your box can hold. This includes the weight of the box and the contents. Letter: This checkbox determines whether your package is a letter (envelope) or a box. In this each product has different weight. Product having less than 70 lbs will be packed up into the single pack. If the products exceeds the 70 lbs it does not pack up. 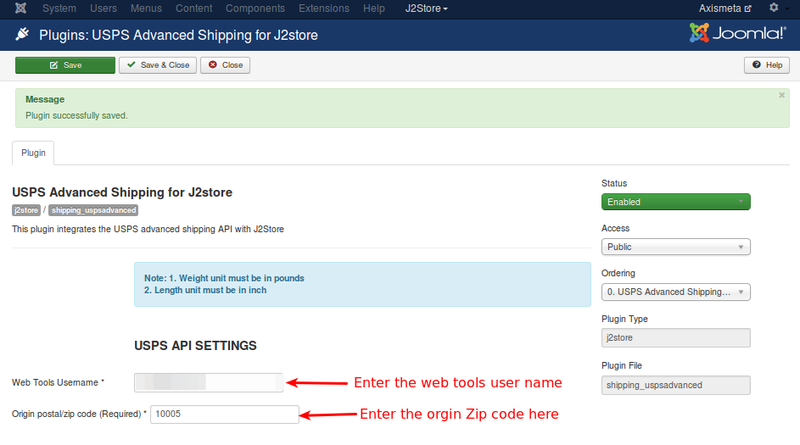 After configuring the USPS configure the following thing in J2store also. 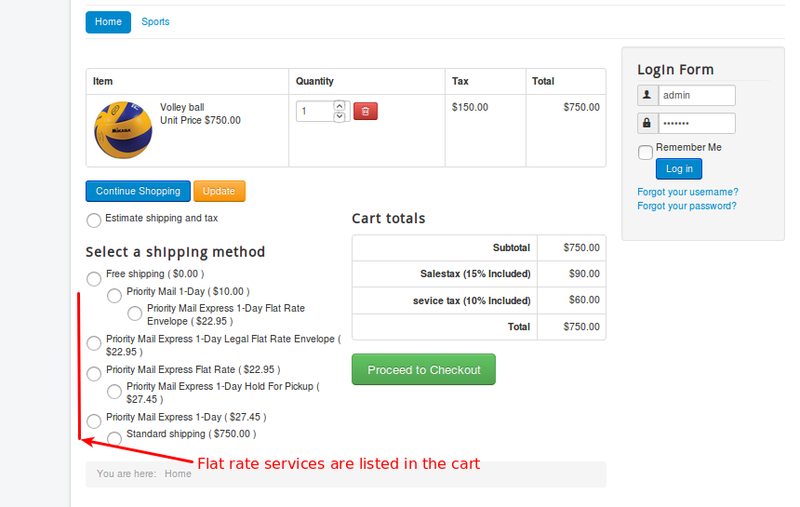 It is important to note that Flat Rate Shipping prices come directly from the USPS API, and you cannot add or modify pricing for this option. It has four options like enable the flat rate box, disable the flat rate box, enable priority services only and enable expresses services only. Choosing this option will enable express services and also the priority services. If you select this option, it will disable all flat rate services. 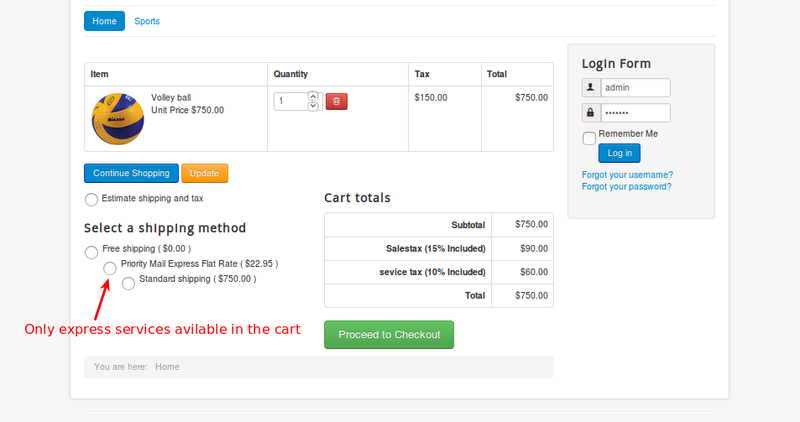 It only enables priority services in cart page. Choosing this option will enable only the express services. This type of handling method applies to Box packing type and Flat rate services. For scenario, consider you are having only two boxes (Box 1, Box 2) and 7 items needs to be packed. Pack the first three items into Box 1 and second three items into Box 2. To pack the item 7, you need one more box (Box 3). So you need multiple boxes to pack the items. In this case, you can decide the cost for additonal box should be applied or not. By this Advance Package handling method you can use the following options to charge and un-charge the unpacked item. Get a quote for the unpacked item by itselfChoosing this option will get a quote or charge for the unpacked item (i.e.) it will display the charge for multiple boxes (Box 1, Box 2, Box 3). This is the default option. Ignore item - do not quoteChoosing this option will display the charge for Box 1 and Box 2 and will ignore the Box 3. Abort - do not return any quotes for the standard serviceChoosing this option will cancel sending quotes for all the boxes. If multiple boxes are required for shipping? 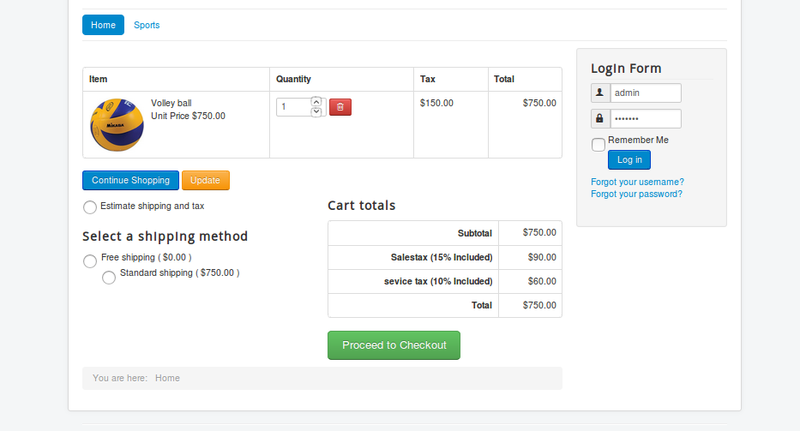 Quote by adding the cost for all boxes required for packingThis is the default option. Choosing this option will add the cost for all the boxes (Box 1, Box 2, Box 3). Abort - do not return any quotes. Choosing this option will cancel quotes for all the boxes and will not return any cost.